Following ‘blue tsunami,’ what’s next for NM’s free-market movement? COMMENTARY: The Rio Grande Foundation is a nonpartisan organization, but like so many other New Mexicans we followed the recent election closely and were surprised by the “blue tsunami” that hit our state. • The gross receipts tax is a job-killing mess. Candidate Michelle Lujan Grisham pledged to address it, starting with naming a bipartisan tax commission to look at it. Will she really make tax reform a priority and will she get enough Democrats in the Legislature to get involved, or will the whole thing devolve into a push for higher taxes? • Lujan Grisham supported marijuana legalization, and the House is more progressive than ever. Is there enough support in the Senate to legalize recreational pot? • Speaking of the Senate, will Senate Finance Committee Chairman John Arthur Smith be able to stymie efforts to tap the “permanent fund” for universal pre-K, or will there be a compromise or capitulation? Also, will the Senate in general and Smith in particular stand firm against what seems likely to be a raft of tax-and-spending proposals that have been bottled up by Gov. Susana Martinez for the past eight years? • We know that K-12 spending will rise dramatically, but by how much? With Democrats in control of everything they have tremendous leeway to shape New Mexico’s education system. How will they spend that money, and will they be able to actually improve our state’s struggling K-12 system? • With “progressives” running the show in the House and having already attempted to ban new charter schools, are New Mexico’s charter schools in danger? • Will Democrats succeed in eliminating the $50 million cap on film subsidies and increasing the state’s “renewable” mandate to 50 percent from the current (as of 2020) 20 percent requirement? Is a $12 minimum wage inevitable? What economic impact will these policies have on the state economy? • Finally, will New Mexico’s oil boom continue? The state has benefited greatly from the boom in oil production in the Permian Basin, which has been sustained by high oil prices. Since Oct. 1 the price per barrel has dropped from the mid-$70s to below $60. Future oil prices are hard to predict and even harder to base budget on. Declining oil prices are not the only concern. Land Commissioner-elect Stephanie Garcia-Richard is the first New Mexico land commissioner to have expressed hostility toward the oil and gas industry that funds this state’s economy and her office. Will she fulfill her anti-industry campaign rhetoric (which included banning fracking) or will she be willing to work with the industry while also advancing the cause of “renewables” and protecting state lands? 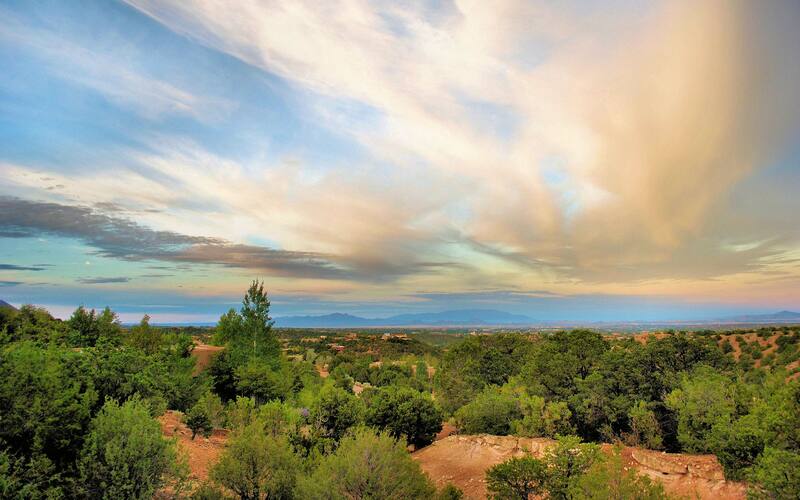 New Mexico has always been a pretty “blue” state. Gov. Martinez took a lot of heat for the sorry state of New Mexico’s economy even while Democrats in the Legislature prevented her from adopting most of her policy reforms (like “right to work” and education reforms). 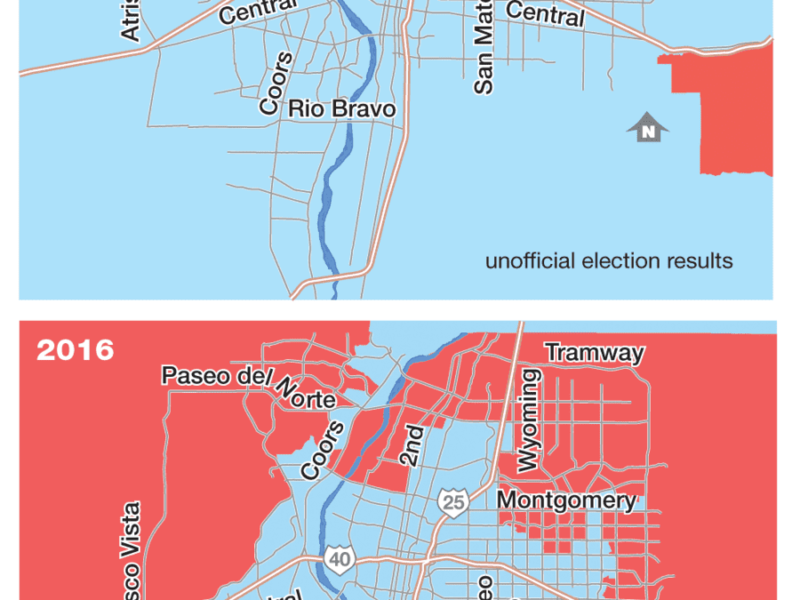 With the Democrats in total control and presumably in control of the coming redistricting process, is New Mexico the newest blue state like California? Or if Democrats mismanage the budget, raise too many taxes, and things generally go poorly for Gov.-elect Lujan Grisham, will the pendulum swing back toward New Mexico being a “purple” state once again? And, if so, will Republicans/Libertarians/moderates be able to formulate a coherent strategy to take advantage of that overreach? Paul Gessing is the president of New Mexico’s Rio Grande Foundation, an independent, non-partisan, tax-exempt research and educational organization dedicated to promoting prosperity for New Mexico based on principles of limited government, economic freedom and individual responsibility.